BeaconhillsGolf 14 Feb 1949 House Committee Report: Cows: There are at present on the Club's property three cows which are said to belong to Mr Falconer. The House Committee consider that two milking cows would be ample for Club requirements, and that this matter should receive attention as soon as finality is reached with Mr Falconer. BeaconhillsGolf 21 Mar 1949 Cows: Decided that the Club does not desire to purchase Mr Falconer's cows and that he be requested to remove them. HERBERT FALCONER, Kingston Heath and Albert Park (Vic.) lefthander, and an oracle on the Rules of Golf, turned in the best round of his golfing life at Kingston Heath on Saturday. From the 8 mark he was 6 up on par, representing a stroke round of 78, one over official par. He recorded only one minus. For the outward nine holes he made not one mistake, and was only 37 against par 39. Falconer's greatest regret is that he had reached the half-century before he was introduced to golf. 'When I think," says Herbert, "of the years I wasted trying to pick winners when I could have been playing this golf game, I feel like inviting some one to kick me." HERBERT B. FALCONER, indefatigable sportsman, has acquired a new distinction. He has become a great-grandfather. It happened recently when his daughter's daughter, Mrs Ross Wilson, of Sydney, presented him with a great-grandson. "Herbie" (to hundreds of Australian golfers) has other trophies. On his mantelshelf at Beaconhills is a cricket ball with which, so the silver shield avers, he secured a "hat trick" and one extra with five balls when playing for Paddington against Glebe some 35 years ago. As far back as 1907 he was the club's secretary and played second grade for Paddington with Trumper and Noble. He got as many as 48 wickets in one season, with an average of 10.5. He concentrated on batting and rose from ninth-in to first-down, averaging 30 in his best season. It is as a golf enthusiast that Herbert Falconer is best known, although he didn't play till he was 25 years past the age at which most good golfers reach their top. At 53 he joined Kingston Heath and Albert Park and "by packing five years golf into two" as he puts it, he got his handicap down to 9 and 8 respectively. 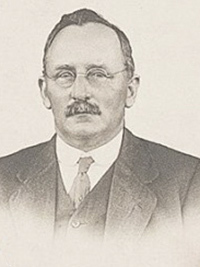 At Albert Park he was honorary secretary for six years (succeeding Charlie Champion); manager for two years and gave immense impetus to the club. He drew the plans for the 18 holes course and supervised their construction. He established in Victoria the stableford system of scoring (after reading about it in Jack Dillon's note book) and solved the problem of congestion in club competitions by introducing the system of playing in threes. An 80-year-old turf expert says the MCG should be cleared of black soil if it is regraded to Olympic standards. He says regrading would not affect it as a cricket ground. The expert is Mr Herbert Falconer, secretary of the Paddington Cricket Club, Sydney, when Trumper and Noble were in the team. Mr Falconer built the Albert Park and Beaconhills golf courses. He inspected the ground today with 72 - year - old builder, drainage specialist and MCC member, Mr G. S. Gay, and the curator, Mr Bill Vanthoff. Afterwards Mr Falconer said: "The MCG Trustees should grip this opportunity to get rid of the vicious Merri Creek black soil covering the ground. "For years the MCC has dressed the whole ground with this black soil. "It should have used it only for the wicket area. "The black soil now averages three to four feet deep." "A granulated, loamy soil does not crack to let the air in. Water drains through it, instead of over it." [S14] Newspaper - The Sydney Morning Herald (NSW : 1842 - 1954), Thu 28 Mar 1895, p1. [S11] Newspaper - Argus 16 Jun 1943 p3. [S22] Victorian Government. BDM Index Victoria (online) "#D5830/1943 born St Kilda." [S353] Beaconhills Country Golf Club, Beaconhills Minute Books, Inaugural Meeting held at the offices of Australian Glass Manufacturers' Co Pty Ltd, 420 Spencer Street, Melbourne on 4 Aug 1947. [S353] Beaconhills Country Golf Club, Beaconhills Minute Books, Committee Meeting 23 Jun 1948. [S353] Beaconhills Country Golf Club, Beaconhills Minute Books, Committee Minutes 14 Feb 1949. [S353] Beaconhills Country Golf Club, Beaconhills Minute Books, Committee Minutes 21 Mar 1949. [S353] Beaconhills Country Golf Club, Beaconhills Minute Books, Committee Minutes 11 Apr 1949. [S353] Beaconhills Country Golf Club, Beaconhills Minute Books, Committee Minutes 11 Jul 1949. [S80] Ancestry - Family Tree, vcuskelly. [S80] Ancestry - Family Tree, tutu19 - par William Charles FALCONER & Margaret Letitia DALEY. [S16] Newspaper - The Age 12 Jul 1965, p14. [S149] Electoral Roll for Australia, 1949 "to Balwyn Sep 1949." [S65] Ancestry - various indices, Ancestry.com. Sydney, Australia, Cemetery Headstone Transcriptions, 1837-2003 [database on-line]. Provo, UT, USA: Ancestry.com Operations, Inc., 2016. [S14] Newspaper - Referee (Sydney, NSW), 22 Feb 1933, p12. Death-Notice* 16 Jun 1943 FALCONER.—On June 15, at private hospital, Melbourne, Elizabeth A. (Lillie), dearly beloved wife of Herbert Boyd Falconer, of Upper Beaconsfield, and loving mother of Doris (Mrs. A. E. Weymark), Wilmot, and Nita (Mrs. Norwood Howard). [S22] Victorian Government. BDM Index Victoria (online) "#B8460/1873." [S11] Newspaper - Argus 16 Jun 1943 p2. The Colonial Mutual Life Assurance Society Limited (CML) was launched in 1873. Melbourne was by then a city transformed by gold and there were strong aspirations to form cooperative organisations based on mutual benefit. T. Jaques Martin was the Society's founder and first General Manager, and Sir Redmund Barry the first President. The new Society had its headquarters at 419 Collins Street, and by the end of 1874 had established offices in all other capital cities in the Australian colonies. Attention then turned to overseas and CML branches were established in Fiji (1876), South Africa (1883) and New Zealand (1884). In 1886, CML became the first of the Australian life offices to commence operations in the United Kingdom. The Society survived recessions and depressions and grew steadily, such that by the 1920s it had outgrown its old premises. It purchased the Equitable Building, then the best known commercial building in Melbourne, in 1923. Soon after, it pioneered the system of payroll deductions for paying insurance premiums. By the late 1950s, the Company's expansion had once again led to its headquarters becoming inadequate, so a decision was made to demolish and rebuild on site. Appreciating the significance of the building however, CML published both a booklet on its history and an album of photographs. CML continued to diversify its business, moving into the general insurance field then, in 1980, forming a permanent building society as a subsidiary. In the 1990s it extended its activities into Southeast Asia. (Migrant) Migration/Travel 1854 To Port Phillip, VIC, Australia. Death-Notice* 29 Jun 1896 MARTIN -On the 26th inst, at Yamba, Esplanade, St Kilda, Thomas Jaques Martin. MARTIN-The Friends of the late Mr T JAQUES MARTIN are informed that his remains will be interred in the Melbourne General Cemetery. Probate (Will)* 13 Jan 1897 63/053. At the time of his death had freehold GEM-D-20 (C/T 1120-988), Parish of Gembrook, and other pieces of real estate in other locations. Heavily mortgaged = Estate insolvent. 8 Jul 1882, COLONIAL MUTUAL LIFE ASSURANCE SOCIETY. 3 Jul 1886, Colonial Mutual Society. Mr T Jaques Martin, whose name is more prominently identified with insurance matters than any other man in Australia, died suddenly at his residence late on Friday night. Mr Martin, who lately paid a visit to Mildura with the Parliamentary commission, caught a cold on the trip, and this developed into pneumonia with rapidly fatal results. Mr Martin, who was born in 1839, was the son of a Liverpool merchant, and came to Melbourne in 1854, being first connected with the Northern Insurance Company. He afterwards joined the old Australasian Insurance Company, and was soon afterwards appointed agent in Victoria for the London and Lancashire Company. In 1866 he resigned this appointment and started the Southern Insurance Company. The two companies, however, with which his name is most prominently associated are the Australian Widows' Fund and the Colonial Mutual, the first of these founded in 1873. As general manager of the Colonial Mutual, a position held by him up to the time of his death, Mr. Martin visited England in 1884 to establish the company there, and was successful in his mission, the company being the only Australian institution of the kind carrying on business at home. Days when bricks cost 19/ a thousand and skilled labor 6/6 a day are recalled by the Colonial Mutual Life Assurance Society in a brochure celebrating its 75th year of establishment. society today ranks as one of Australia's largest mutual life offices, with Empire-wide connections. A feature of the society's development is that it was the first Australian office to transact business to Great Britain, where other Commonwealth offices have since followed suit. It was also the pioneer of the System of group assurance in Australia—a system which combines the convenience of weekly "industrial" payments with the improved benefits available under ordinary department policies. [S65] Ancestry - various indices, Ancestry.com. England & Wales Christening Records, 1530-1906 [database on-line]. Provo, UT, USA: Ancestry.com Operations Inc, 2008. Place: Everton, Lancashire, England; Collection: St Augustine; -; Date Range: 1830 - 1839; Film Number: 1468977. [S81] Land Records, Parish Maps & Council Rate Books. ; PROV (Public Records Office Victoria), VPRS 5357/P0000/3650 551/49 THOMAS JAQUES MARTIN PAKENHAM 1 D 19--3--32. 1877 - 1879. [S185] Property Titles. ; PROV (Public Records Office Victoria), C/T 1154-605 - Thomas Jacques Martin of Melbourne - changed on title to 20a. [S185] Property Titles. ; PROV (Public Records Office Victoria), C/T 1123-539 - Thomas Jaques Martin of Melbourne. [S185] Property Titles. ; PROV (Public Records Office Victoria), C/T 1123-401 - Thomas Jacques Martin of Melbourne. [S185] Property Titles. ; PROV (Public Records Office Victoria), C/T 1154-605 - Thomas Jacques Martin to George Britton Halford, Edward Fitzhaley A'Beckett, George Frederick Brind, William Elms, William Henry Goff all of Melbourne Gentlemen - C/T 1565-907. [S199] Series: VPRS13718 PROV (Public Records Office Victoria), 2998 School Building File. Letter from W H Goff to the Education Department, 15 May 1889. [S185] Property Titles. ; PROV (Public Records Office Victoria), C/T 1154-605 - Thomas Jacques Martin to Henry George Swallow of Berwick Baker - C/T 2136-114. [S185] Property Titles. ; PROV (Public Records Office Victoria), C/T 1154-605 - Thomas Jacques Martin to Thomas James Crouch of Chancery Lane Melbourne, Surveyor - C/T 2210-932. [S185] Property Titles. ; PROV (Public Records Office Victoria), C/T 1123-539 - Thomas Jaques Martin to Thomas James Crouch - Creation of Easement (no further information, may be creation of Brisbane Road). [S185] Property Titles. ; PROV (Public Records Office Victoria), C/T 1154-605 - Thomas Jacques Martin to Robert George Haig of Market Street Melbourne Merchant - C/T 2210-933. [S185] Property Titles. ; PROV (Public Records Office Victoria), C/T 1123-539 - Thomas Jaques Martin to Robert George Haig - Creation of Easement (no further information, may be creation of Brisbane Road). [S185] Property Titles. ; PROV (Public Records Office Victoria), C/T 1120-988 and 989 - Thomas Jacques Martin of Collins Street Melbourne Insurance Agent and Alexander Karley Warden of La Trobe Street Melbourne Merchant. [S185] Property Titles. ; PROV (Public Records Office Victoria), C/T 1120-988 -Thomas Jacques Martin of Collins Street Melbourne Insurance Agent. [S185] Property Titles. ; PROV (Public Records Office Victoria), C/T 1120-989 - Alexander Karley Warden of Latrobe Street Melbourne Merchant. [S185] Property Titles. ; PROV (Public Records Office Victoria), C/T 1154-605 - Thomas Jacques Martin to John Milne of Beaconsfield Hotelkeeper- C/T 2350-861. [S2] Registry of Births Deaths and Marriages Federation Index Victoria 1889-1901 "#D7858 (age 57) [par Thomas MARTIN & Eliza JACQUES]." [S11] Newspaper - Argus 29 Jun 1896 p1. [S185] Property Titles. ; PROV (Public Records Office Victoria), C/T 1120-988 - Thomas Jacques Martin died on 26 Jun 1896 - Eliza Ann Martin of 'Yamba' Esplanade St Kilda Spinster registered as proprietor as executrix. [S185] Property Titles. ; PROV (Public Records Office Victoria), C/T 1154-605 - Thomas Jacques Martin died on 26 Jun 1896 - Eliza Ann Martin of 'Yamba' Esplanade St Kilda Spinster registered as proprietor as executrix. [S185] Property Titles. ; PROV (Public Records Office Victoria), C/T 1123-539 - Thomas Jacques Martin died on 26 Jun 1896 - Eliza Ann Martin of 'Yamba' Esplanade St Kilda Spinster registered as proprietor as executrix. [S185] Property Titles. ; PROV (Public Records Office Victoria), C/T 1123-401 - Thomas Jacques Martin died on 26 Jun 1896 - Eliza Ann Martin of 'Yamba' Esplanade St Kilda Spinster registered as proprietor as executrix. [S35] Probate Records, PROV (Public Records Office Victoria), 63/053 granted to his sister Eliza Ann MARTIN. 111/697 Probate of his sister (28 May 1909 Admin) Mary Jane MARTIN states that T J MARTIN's estate was insolvent. [S185] Property Titles. ; PROV (Public Records Office Victoria), C/T 1154-605 - Eliza Martin of "Yamba" Esplanade St Kilda is registered as proprietor of the balance described within as executrix to whom probate of the will of Thomas Jacques Martin has been granted. [S83] Online index to the UK census "Class: HO107; Piece: 2175; Folio: 264; Page: 31; GSU roll: 87168." "(Memorial only for Thomas, Eliza and Thomas Jaques - buried in C of E section L grave 187)." [S11] Newspaper - Argus The Argus (Melbourne, Vic. : 1848 - 1957), Sat 16 Feb 1878, p5. [S14] Newspaper - The Brisbane Courier (Qld. : 1864 - 1933), Mon 9 Sep 1878, p3. [S14] Newspaper - The Bega Standard and Candelo, Merimbula, Pambula, Eden, Wolumla, and General Advertiser (NSW : 1876 - 1884), Sat 8 Jul 1882, p4. [S11] Newspaper - Argus The Argus (Melbourne, Vic. : 1848 - 1957), Tue 12 Aug 1884, p5. [S14] Newspaper - Bairnsdale Advertiser and Tambo and Omeo Chronicle (Vic), 20 Apr 1886, p2. [S14] Newspaper - South Australian Weekly Chronicle (Adelaide, SA : 1881 - 1889), Sat 26 Jun 1886, p3. [S14] Newspaper - Australian Town and Country Journal (Sydney, NSW : 1870 - 1907), Sat 3 Jul 1886, p11. [S14] Newspaper - Geelong Advertiser (Vic. : 1859 - 1929), Tue 8 May 1888, p3. [S11] Newspaper - Argus 29 Jun 1896 p6. [S11] Newspaper - Argus 30 Jun 1896 p5. [S14] Newspaper - The Advertiser (Adelaide), 10 Apr 1911, p7. [S14] Newspaper - The Advertiser (Adelaide, SA : 1931 - 1954), Wed 21 Apr 1948, p4. Note* 1 May 1896 George Wilson Martin, sworn and examined. 419. To the Chairman.—I am a farmer, residing at West Gembrook, 3 miles from here: I have 570 acres leasehold. I lease it from my uncle, Captain Martin. I cultivate 20 acres; and have 30 acres under grass. I grow potatoes and oats. Last year I sent l5 tons of potatoes to Melbourne ; it did not pay. I did not put many in this year on that account. I have to take it to Beaconsfield. I would promise to cultivate 100 acres if there were a railway near. The price we would obtain in Melbourne would then pay. It is all eaten up in cartage now to Beaconsfield. I average about 10s. per ton for carting from my place to the station. If a railway were here I should have it within a mile of my place. If there were a line from my place to Fern Tree Gully it would not cost more than half. Prices were very low last year. The line from Fern Tree Gully to Gembrook almost touches the boundary of my place within half-a-mile of the house. 420. To Mr. Harris.—The absence of railway communication has been the cause of my not cultivating more and the cause of my leaving. I could not get a living. I am running young cattle on the remainder of the land. There is better timber and land on the Fern Tree Gully line than on the Beaconsfield; it would be more to my interest for it to come from Beaconsfield, but I would rather see it from Fern Tree Gully as the best national line. 421. To Mr. Burton.—I am about 13 miles from the nearest railway station. My guarantee as to cultivation would be subject to my tenancy of the land; my lease is a provisional one; I have it at present for 5 years, with the option of taking it for a long term. I think my uncle would give any guarantee as to assisting the line that Mr. Crichton gave. Book 1912 Victorian Tourist Bureau Guide Book: Within 3 miles of the railway station, (Beaconsfield) on the hills, a vacation or week-end camping ground has been laid out, and christened "Quamby" (the booklet says this is "the aboriginal name for camp"). The main road to the farther heights beyond runs right past the allotments into which the reserve has been subdivided, and by means of passing coaches it is an easy matter to get to and from the station. The allotments are being rapidly disposed of to those anxious to obtain at small expense a spot in the bush among the hills, whereon to pitch a holiday tent and enjoy a restful and unconventional vacation. Village Bell* Apr 1994 The article reads: Hearsay History: Councillor George Wilson Martin was an estate agent and a shrewd man. He had a new road, “the granite road”, made along the hillside from Carpenter Road to Leppitt Road. The previous route was along Carpenter Road to the junction of Dickie’s Road, then down a precipitous slope to Leppitt Road, where the power lines now run. 4 Feb 1908, PAK-74 l/p 5014, UPPER BEACONSFIELD.—A preliminary meeting of residents was held on Saturday night for the purpose of taking steps to establish a State school at Quamby, a new settlement about half way between lower and Upper Beaconsfield. 5 Dec 1908, PAK-74 l/p 5014, HOUSES AND LAND FOR SALE: GOLDEN OPPORTUNlTY ! ! ! A CHRISTMAS BOX to WEEK ENDERS ! ! ! QUAMBY TENT SETTLEMENT ! ! BEACONSFIELD HEIGHTS ! Just Over the Hour from MELBOURNE. Five Trains Daily. Sunday Trains All the Year Round. Fares. 2/6 Return; Sundays, 1/9 Return. BEAUTIFUL PANORAMA from MOUNTAIN to SEA. FERNS and WILD FLOWERS, CHARMING BUSH WALKS, BRACING MOUNTAIN AIR. No Day so Hot but what the Nights on the Hills are Cool to Coldness. Owing to the great success which attended the original subdivision of the Quamby Tent City Estate for holiday purposes, it has been decided to throw open a further portion of the property for settlement, and in order to quickly draw attention to the many attractions of this favorite and delightful rendezvous FOR WEEK ENDERS THIS special offer Is Now Made to dispose of TWENTY splendid blocks, guaranteed high, dry aud easily accessible, already surveyed, partly fenced, roads defined, lodged subdivisional plan approved of by Title Office, shire council and Board of Health, enabling all holders to obtain immediate possession. The specially low sum of Ten Pounds will purchase one of these blocks, and, in addition, IF SECURED BEFORE THE NEW YEAR, an absolutely Clear Title will be given entirely free of cost. This offer is no subterfuge on so called free distribution lines, but an honest, sound business proposition, which those in search of a desirable and permanent week end resort should not ignore. It is not uccoawiy to pay down the whole purchase money at once. Arrangements have been made for EXCEPTIONALLY LIBERAL TERMS. No deposit and 2/6 weekly, without interest, will secure one of these ideal sites for you. A considerable number of blocks have been disposed of, upon some of which cosy bungalows, &c., have been built and are in course of erection. There is also a substantial pavilion and storehouse, equipped with all necessary camping requisites, which are available for the use of block holders. Abundant supply of water all the year round. Buyers desirous of building will be liberally assisted, thus enabling a week end residence to be within the immediate reach of all. A limited number of blocks of the portion originally thrown open are still available at from £15 to £25 per block. Is a district noted for it picturesque surroundings and salubrious climate, its mountain air and sea breezes being highly recommended by the leading medical men of Melbourne for their in vigorating and bracing effects. Is a popular and established settlement, select in character, possessing exceptional natural advantages as a delightful spot to rest and recuperate from the labor and worries of city life. The strictest accuracy of the statements made is vouched for, and inspection and investigation cordially invited. REMEMBER, ONLY A FEW BLOCKS AVAILABLE. SECURE YOUR BLOCK NOW. 19 Mar 1910, WEDNESDAY. 6th APRIL. At half-past 2 o'plock. UPPER BEACONSFIELD. BOARDING HOUSE. CONVALESCENT HOME or COUNTRY RESIDENCE, with 18 ACRES. 11 BLOCKS Orchard Land 3 to 20 Acres. Also 19 ACRES and 50 ACRES. W F. VALE aud Co., in conjunction with GEO. W. MARTIN and Co.. hate received instructions from THE TRUSTEES, EXECUTORS and AGENCY CO. LTD , of 112 Collins-street, to sell by public auction, at the rooms, Citizens'-chambers, 285 Collins-street, at half past 2 o'clock on above date, "WINDARA.'' formerly the residence of Professor Halford, built of W.B., containing 9 rooms, bathroom, verandah on three sides and enclosed back verandah, dairy, wash house, 6 G.I. tanks, W.B. stable of 2 stalls, harness room, 2 buggy sheds, mansroom, loft, together with 18 acres 3 roods 18 perches, fronting the main road, fine plantation of well grown pine and other ornamental trees, small orchard, &c.
The whole property is admirably adapted for a boarding house, convalescent home or country retreat for a city gentleman, or for anyone desirous of retiring to this healthy district, within easy reach of the city, delightfully situated, it is about 5 mile from Beaconsfield railway station, adjacent to post office, telephone, store, assembly hall, tennis court and recreation ground, and the residences of Dr. Bevan, W. Warren Kerr, Salisbury House and others. Also splendid Orchard Sites or for Country Homes consisting of 11 BLOCKS, adjoining above, fronting main road. Telegraph and other Government roads. EACH FROM 3 to 20 ACRES. Magnificent views, healthy and bracing climate. Some of the best apple growing land in the State. Also in ESTATE of L. H. CHANDLER, 19 ACRES 3 ROODS 31 PERCHES, being allot. 215. portion 58, Parish of Pakenham. Title, certificate. Also in the ESTATE of F. M. INNES. GEMBROOK. 50 ACRES 3 PERCHES, being part of Crown allot A10, parish of Gembrook. being lot 21 on plan of subdivision. Title, certificate. 21 Sep 1911, Clearing Sale. Household Furniture, Etc. At BEACONSFIELD UPPER, On SATURDAY, OCTOBER 7th, at 1 p.m. SWEYN H. LEMME has received instructions from Mr. Geo. W. Martin to sell by auction, on his property known as "Bosworth," the whole of the HOUSEHOLD FURNITURE & EFFECTS contained in Drawing, Dining and 5 Bedrooms and Kitchen, together with numerous Sundries, Harness, etc; also HORSES. 1 2-year-old and 1 6-year-old gelding. On view day before the Sale or by appointment. For absolute sale. Luncheon provided. 14 Nov 1911, ABBOTSFORD. COUNCILLOR MARTIN ENTERTAINED. Also 20 IDEAL ORCHARD and RESIDENTIAL ALLOTMENTS, of 10 ACRES EACH. Beautifully and Conveniently Situated, 2½ Miles Station, Good Metal Roads. exceptionally easy terms. GEO. W. MARTIN and Co., Auctioneers, have every confidence in commending this sale to the consideration of those in search of either a small farm, orchard, or mountain home site. This subdivision meets any of these requirements The district is a very popular one for fruit growing or residential purposes. Plans and all particulars from the auctioneers, Geo. W. Martin and Co., Cromwell-buildings, 366 Bourke-street, Melbourne; or the solicitor to the estate, Mr. W. R. Paling, 415 Collins-street. 13 Aug 1914, TO THE RATEPAYERS OF BEACONSFIELD RIDING. Dear Sir or Madam, I beg respectfully to intimate to you that I will be a Candidate for re-election in August next. During the eleven years I have had the honor of being your representative I have endeavored to serve your interests faithfully, and trust that my efforts merit a continuance of your confidence and support. I am, Dear Sir or Madam, Obediently yours, GEO. W. MARTIN. "Clairlly," Beaconsfield Upper, 1/8/14. 25 Nov 1914, BEACONSFIELD MARKET. Saturday, November 28. 14 Oct 1915, AUCTION SALE At BEACONSFIELD. SATURDAY, OCTOBER 23rd. At 4 o'clock, on the property, MOYRAVERTY." On splendid elevation, overlooking the Beaconsfield Railway Station, COMFORTABLE VILLA, And 23 Acres of Beautifully Situated Land. F. A. LOOKER, 11 Elizabeth Street, and GEORGE W MARTIN & Co., 366 Bourke Street. are instructed by the owner to sell (through G. W. Martin, auctioneer), that conveniently situated property, being the picked site of Beaconsfield, overlooking the railway station and township, known as "Moyraverty," fronting The Avenue, off main Gippsland road, with splendid views of the surrounding country, with land about 23 acres, divided into about 6 convenient sized paddocks, on which is a wooden villa, containing about 14 rooms, (several of which are extra large, about 18 x 15), and well-fitted with cupboards built in, wide verandahs; also, man's room, buggy house, stabling, fowl-yard, and good water supply, surrounded by a splendid old, well-grown shrubbery and garden, of about an acre, fruit trees, tennis court, &c, the whole forming a comfortable home, only 10 minutes' walk from the station. To buyers on the look-out for a comfortable country home, or suitable for a week-end or holiday boardinghouse, poultry, pleasure, or small mixed farm, this sale offers the chance of a bargain, as owner intends to realise. Subdivisional Land Sale. COGHILL and HAUGHTON (inconjunction with GEO. W. MARTIN and Co.) will Sell Lot 1, 2 and 3—100 ACRE FARM rich flats, on main road, at Beaconsfield. 10 acres young export Orchard. 17 acres timber and rich cultivation flat, new 5-roomed W.B. House and Farm Buildings. Lot 4E and 5-108 acres of hill land, with good road through centre, eminently suitable for subdivision into week-end blocks. Lots 1, 2 and 3 separately if not sold as a whole. Lot 3—House and 37 acre farm. Lot 2, 38 acre lot, 10 orchard. Lot V. 30 acre farm block. 100 acre farm, £500 deposit ; in separate lots, £50 per lot deposit ; balance in each case over 8 years at 5 per cent. 3 Aug 1917, Shire of Berwick. To the Ratepayers of the BEACONSFIELD RIDING. 10 Aug 1917, The Beaconsfield Riding Election. At the Council meeting on Saturday last, Cr James, speaking in regard to the municipal elections, said it would be a loss to the council if Cr Martin were not returned. He did not suggest that he was likely to be beaten, but one could not always say what would be the result of an election. He hoped they would not lose his ser vices. It was due to Cr Martin that so much work had been done around Beaconsfield Upper and Lower, and it seemed a rather ill return for his past services to bring out a man against him. The gentleman who was opposing him might be a good man, but if a man was new to council work it would take some time to learn the business. Cr Martin had proved himself a most capable councillor, an I his knowledge of municipal work was of great value both to the council and the ratepayers. Recognising this, he moved that this council expresses the hope that Cr Martin will be re turned. Cr Henty seconded the motion. He said that Cr Martin was a good councillor, and it was a great advantage both to the council and the ratepayers to have a representative living in Melbourne, as it saved the expense of many deputations to the City and helped to get departmental matters attended to quickly. As their representative on the Municipal Association he had also done much good work. Unfortnnately the ratepayers often overlooked the good work done by councillors. Cr Martin had given much time to municipal work, and if he were defeated the ratepayers would lose a valuable man. The President said Cr Martin was an old and tried councilfor, and his knowledge was a valuable asset to the ratepayers and the council. They also benefitted by his residence in Melbourne. No other councillor at the table had a better knowledge of the Local Government Act. As to Cr Martin's work, he could say the roads in his district were a credit to him. 17 Aug 1917, Shire of Berwick. To the Ratepayera of the BEACONSFIELD RIDING. LADIES AND GENTLEMEN, The term for which I was elected as one of your Councillors expires through effIuxion of time on the 31st day of August next. An Election will be held on Thursday, 23rd August to fill the vacancy thus created, and for which I am a Candidate. It is my intention to take an early opportunity of addressing the ratepayers in the various centres throughout the Riding, and in the meantime, I would respectfully ask you to refrain from pledging your support to any other candidate until you have had an oportupity of hearing or reading an exposition of my views on current council topics, and perused a review of the municipal work I have assisted to accomplish in this State and Shire on your behalf, and which I believe will merit your approbation and a continuance of that generous support you have so kindly given me in the past. Thanking you in anticipation, I am, Ladies and Gentlemen, Yours obediently, GEORGE W. MARTIN. 25 Oct 1918, Rights of Enemy Aliens. BALLARAT. — An interesting case engaged the attention of the Chief Justice at the Supreme Court on Thursday, it was one in which Carl E. Ebell, of Ballarat, but formerly of Germany, proceeded against George Wilson Martin, of Beaconsfield, for the recovery of £167 15/3, alleged to be due on account of promissory notes. The main point raised for the defence was that plaintiff had no right to sue. 25 Oct 1918, ALIENS' LEGAL RIGHTS. BALLARAT, Thursday. The Chief Justice (Sir William Irvine) to-day heard a case of Carl Eberhard Ebell against G W Martin of Beaconsfield Upper in which the right of an enemy subject to sue was involved. Plaintiff obtained certain promissory notes from defendant and claimed £163/11/3, the amount unpaid and interest due. Mr Hugh Morrow appeared for plaintiff. Defendant who did not appear, had set up as a defence that an enemy subject was debarred from recovering. It was admitted that Ebel was a German subject, but it was contended that under the aliens' registration regulations of July, 1916, passed in the pursuance or the powers of the War Precautions Act, 1914, he had a right to sue. He came from Burmah in December 1914, having obtained passports from the officials there and at Straits Settlements, and had registered under the aliens registrations regulation. The Chief Justice - Where does it say that an alien who is registered can sue? Mr Morrow quoted decisions in the case of Princess of Thurn and Taxis v. Moffat (K.B.D.1915), and the Court of Appeal Case, Porter v. Freudenberg (1 K.B.D., p 857) in support of his contention. Plaintiff gave evidence that he arrived in Melbourne in December 1914, having obtained passports. He obtained his parole at the Victoria Barracks, and had registered under the aliens' registration regulations. He left Germany 20 years ago, and with the exception of intervals spent in Australia, had lived in Burmah since leaving Germany. He had married a Ballarat girl. The Chief Justice. The contract with defendant appears to have been entered into before plaintiff registered. Mr Morrow-There were no regulations when the contract was made. The Chief Justice said there was sufficient evidence to show that plaintiff had been permitted by the authorities to come to, and remain here, and had the right to sue. 14 Dec 1918, DANDENONG. Wednesday, December 18. At Two O'Clock. NICE HANDY FARM. Being part of lot 4 Section 25 Parish Eumemmerring County Mornington with new 6 roomed w b house, pantry, linen press, bath-room, l and p throughout w.b. shed 30 x 20 containing man's room, feed room, cart-shed, small cowshed, subdivided 5 paddocks; water supply laid on. Excellent crops of potatoes and hay have been grown on this farm, which stands out as one of the most desirable, handy, and well-improved small properties in this district. Terms: Half cash; balance easy terms. Title Certificate. Also, Same Time and Place for Convenience of Sale. 8 Jul 1919, NOTICE is hereby given, that after the expiration of fourteen days from the publication hereof application will be made to the Supreme Court of the State of Victoria, in its Probate jurisdiction, that PROBATE of the LAST WILL and TESTAMENT of EMMA GILLAM, formerly of George street, East Melbourne, but late of 75 Park street, St Kilda, in the State of Victoria, widow, deceased, may be granted to William Jordan Johnson (in the said will erroneously described as William John Johnson), formerly of Erin street, Richmond, but now of No. 43 Bourke street, Melbourne, in the said State, printer, and George Wilson Martin, of Beaconsfield Upper, in the said State, sworn valuator, the executors named in and appointed by the said will. Dated this eighth day of July, 1919. Adjoining Cool Store, Hall, Post-office, Stores, &c.
From 5 to 10 Acres Each, Partly Improved, Frontages to New Country Roads Board Road. About 4½ Miles from Beaconsfield Railway Sta- tion. Sunday Trains. Coaches Meet Trains Daily. There are Charming Views from Each Block. The Country Roads Board is Constructing a Road Through to Upper Yarra, Ensuring a Charming Mountain Round Trip. A Char-a-Banc will leave the City on the Morning of the Sale. Fares, 7.6 Return. Seats Must be Reserved Before 4 p.m. on Thursday, 13th Inst. Apply Auctioneer for Particulars and Plans. Auctioneer, 325 Collins Street, and Caulfield. The above property, which consists of dwelling, of 8 rooms kitchen bathroom and pantry, with 16 acres most of which has been cleared. Four front rooms are of brick, others W B plaster lined. This fine old property was at one time a prosperous guest house nicely situated on good metal road, a few yards from CRB road to Emerald, which, like Beaconsfield Upper, is a popular tourist resort. This once fine home has drifted into a state of disrepair, but the foundations are good. Without a great deal of expense could be made a nice country home, guest house, or would suit anybody who could effect repairs and make a good week-end home. Comprising 16 acres 9 4-10th perches, being Crown Allot 4, pt Allot 3. Section D, parish of Gembrook, county of Mornington. Certificate of title Vol 4109, fol 821679. [S35] Probate Records, PROV (Public Records Office Victoria). [S65] Ancestry - various indices, London Metropolitan Archives, Southgate St Michael at Bowes, Register of Baptism, dro/070, Item 931. [S342] Railway Report 1896 online at: http://www.parliament.vic.gov.au/vufind/Record/62438, (Taken at West Gembrook.) Friday, 1st May, 1896. Members present: MR. Cameron, in the Chair ; The Hon. D. Melville, M.L.C. Mr. Burton, Mr. Craven, Mr. Harris, Mr. J. S. White. 1896 Victoria. Report from the Parliamentary Standing Committee on railways on the question of selecting localities for the permanent survey of narow-gauge lines together with the appendices and minutes of evidence. Printed 18 August 1896, pp100-101. [S11] Newspaper - Argus [par Alexander & Mary WALKER]. [S2] Registry of Births Deaths and Marriages Federation Index Victoria 1889-1901 "#M3618." [S11] Newspaper - Argus 2 Jun 1900, p9. [S81] Land Records, Parish Maps & Council Rate Books. ; PROV (Public Records Office Victoria), C/T 2031-151 - Henry Maxwell Browne of Glenferrie Road Malvern Bank Manager George Wilson Martin of Federation Street Ascot Vale Estate Agent and Edmund Thomas Luke of Normanby Road Caulfield Journalist are now the proprietors. [S66] Berwick Shire Rates, 1870-1965 listed as Quambi Estate in 1913/14 possibly Quambi 1912/13. [S185] Property Titles. ; PROV (Public Records Office Victoria), C/T 2031-151 - William Shadbolt - Creation of Easement No 579856. [S185] Property Titles. ; PROV (Public Records Office Victoria), C/T 2031-151 - Alexander Elder Maxwell of No 3 Ellesmere Road Windsor Estate Agent - C/T 3343-441. [S185] Property Titles. ; PROV (Public Records Office Victoria), C/T 2031-151 - Samuel Barnett of Derby Road Caulfield Contractor - Transfer 594093 - C/T 3343-442. [S185] Property Titles. ; PROV (Public Records Office Victoria), C/T 2031-151 - George Wilson Martin of No 366 Bourke Street Melbourne Estate Agent - Transfer 600245 - C/T 3355-996. [S185] Property Titles. ; PROV (Public Records Office Victoria), C/T 2031-151 - Transfer 600246 - James Nicholas Buzolich of No 25 South Street Ascot Vale Shipping Manager - C/T 3355-997. [S185] Property Titles. ; PROV (Public Records Office Victoria), C/T 2031-151 - Transfer 603916 - Maud Ellen Mary Johnson of No 29 Auburn Parade Auburn Married Woman - C/T 3365-935. [S185] Property Titles. ; PROV (Public Records Office Victoria), C/T 1127-265 - George Wilson Martin of Bosworth Upper Beaconsfield Valuer. [S185] Property Titles. ; PROV (Public Records Office Victoria), C/T 3381-123 - George Wilson Martin of Bosworth Upper Beaconsfield Valuer. [S185] Property Titles. ; PROV (Public Records Office Victoria), C/T 2589-614 - George Wilson Martin of Bosworth Upper Beaconsfield Valuer. [S185] Property Titles. ; PROV (Public Records Office Victoria), C/T 3381-123 + C/T 1127-265 + C/T 2589-614 - Mortgage No 287686 - Alexander Fraser, Thomas Robert Burrows, James Robert Thear and Jonathan Edward Pittock - discharged 11 Apr 1912. [S185] Property Titles. ; PROV (Public Records Office Victoria), C/T 2031-151 - Transfer 635795 - May Davy of Page Street Albert Park Married Woman - C/T 3465-843. [S185] Property Titles. ; PROV (Public Records Office Victoria), C/T 2031-151 - Transfer 635796 - Charles Percival Blott of Swanston Street Melbourne Seedsman - C/T 3465-844. [S185] Property Titles. ; PROV (Public Records Office Victoria), C/T 2031-151 - Transfer 636540 - William Button Hailes of No 8 Gipps Street Collingwood Theatrical Employee - C/T 3465-845. [S185] Property Titles. ; PROV (Public Records Office Victoria), C/T 2031-151 - Transfer 651680 - Thomas Frederick Barnett of Derby Road Caulfield Builder and Contractor - C/T 3512-298. [S185] Property Titles. ; PROV (Public Records Office Victoria), C/T 1558-445 - George Wilson Martin of Cromwell Buildings Bourke Street Melbourne Agent - C/T 3535-954. [S185] Property Titles. ; PROV (Public Records Office Victoria), C/T 2589-614 - George Hodges Knox of 31 Queen Street Melbourne Gentleman. [S185] Property Titles. ; PROV (Public Records Office Victoria), C/T 1127-265 - George Hodges Knox of 31 Queen Street Melbourne Gentleman. [S185] Property Titles. ; PROV (Public Records Office Victoria), C/T 3381-123 - George Hodges Knox of 31 Queen Street Melbourne Gentleman. [S185] Property Titles. ; PROV (Public Records Office Victoria), C/T 3381-123 - Knox took over Mortgage No 287686 - Alexander Fraser, Thomas Robert Burrows, James Robert Thear and Jonathan Edward Pittock - discharged 11 Apr 1912. [S61] Upper Beaconsfield History Archive ,"Victorian Tourist Bureau Guide Book, 1912, p220." [S185] Property Titles. ; PROV (Public Records Office Victoria), C/T 2210-933 - The Colonial Bank of Australasia Ltd to George Wilson Martin of 'Clovelly' Beaconsfield Upper Agent. [S185] Property Titles. ; PROV (Public Records Office Victoria), C/T 2031-151 - Transfer 686227 + 686228 - Thomas Jones Chia of 48 William Street Melbourne Secretary - C/T 3607-285 (both blocks). [S185] Property Titles. ; PROV (Public Records Office Victoria), C/T 2031-151 - Transfer 687884 - George Wilson Martin of 366 Bourke Street Melbourne Estate Agent - C/T 3613-418. [S185] Property Titles. ; PROV (Public Records Office Victoria), C/T 2031-151 - Transfer 687885 - Edward Odgers of 38 Rose Street Armadale Departmental Manager - C/T 3613-419. [S185] Property Titles. ; PROV (Public Records Office Victoria), C/T 2031-151 - Transfer 687886 - William James Conquest of Imperial Hotel Chapel Street South Yarra Licensed Victualler - C/T 3613-420. [S185] Property Titles. ; PROV (Public Records Office Victoria), C/T 2031-151 - Transfer 687887 - Florence Lilian Kettle of Hoddle Street Essendon Spinster - C/T 3613-421. [S185] Property Titles. ; PROV (Public Records Office Victoria), C/T 2031-151 - Transfer 687888 - Thomas Edward Mathews of 65 Lydiard Street Glenferrie Valuer - C/T 3613-422. [S185] Property Titles. ; PROV (Public Records Office Victoria), C/T 2031-151 - Transfer 692188 - Frank Garnet Bullock of 37 Brinsley Road Camberwell Accountant - C/T 3640-968. [S185] Property Titles. ; PROV (Public Records Office Victoria), C/T 2031-151 - Transfer 692187 - Charles Keys of Chesterville Road Cheltenham Gentleman - C/T 3640-967. [S35] Probate Records, PROV (Public Records Office Victoria), VPRS 28/P3, unit 417; VPRS 7591/P2, unit 503. [S185] Property Titles. ; PROV (Public Records Office Victoria), C/T 2210-932 - George Wilson Martin of Cromwell Buildings Bourke Street Melbourne Agent. [S185] Property Titles. ; PROV (Public Records Office Victoria), C/T 2031-151 - Transfer 692186 - Mamie Isabelle Prosser of 396 Richardson Street Middle Park Married Woman - C/T 3633-539. [S185] Property Titles. ; PROV (Public Records Office Victoria), C/T 2031-151 - Transfer 696089 - Annie Maud Latham of Upper Beaconsfield Married Woman - C/T 3640-970. [S185] Property Titles. ; PROV (Public Records Office Victoria), C/T 2031-151 - Transfer 696088 - Walter Wright of 20 Glenferrie Road Malvern Hairdresser - C/T 3640-969. [S185] Property Titles. ; PROV (Public Records Office Victoria), C/T 2031-151 - Transfer 696091 - Amy Petrie Reeve of Glenferrie Road Malvern the wife of Edward James Reeve of the same place Chemist - C/T 3640-971. [S185] Property Titles. ; PROV (Public Records Office Victoria), C/T 2644-622 - George Wilson Martin of Cromwell Buildings Bourke Street Melbourne Agent - C/T 3639-719. [S185] Property Titles. ; PROV (Public Records Office Victoria), C/T 2350-861 - Ann Milne to George Wilson Martin of "Clovely" Beaconsfield Upper Agent - C/T 3656-060. [S185] Property Titles. ; PROV (Public Records Office Victoria), C/T 2031-151 - Transfer 696092 - Alice Maud Green of Station Street Malvern Married Woman - C/T 3645-845. [S185] Property Titles. ; PROV (Public Records Office Victoria), C/T 3639-719 - Mortgage No 314092 - Alexander Fraser, Thomas Robert Burrows, James Robert Thear and Jonathan Edward Pittock. [S185] Property Titles. ; PROV (Public Records Office Victoria), C/T 3535-954 - Alexander Fraser, Thomas Robert Burrows James, Robert Thear and Jonathan Edward Pittock - discharged 29 Jan 1913 - discharged 29 Jan 1913. [S185] Property Titles. ; PROV (Public Records Office Victoria), C/T 2210-932+933 - Mortgage No 314092 - Alexander Fraser, Thomas Robert Burrows, James Robert Thear and Jonathan Edward Pittock - discharged 25 Jun 1914. [S185] Property Titles. ; PROV (Public Records Office Victoria), C/T 2031-151 - Transfer 696090 - Lucy Maud Tanner of No 48 Green Street Windsor Married Woman - C/T 696090. [S185] Property Titles. ; PROV (Public Records Office Victoria), C/T 3840-836 - Elizabeth Somers of Beaconsfield Spinster. [S185] Property Titles. ; PROV (Public Records Office Victoria), C/T 3840-836 - George Wilson Martin of Upper Beaconsfield Stock and Station Agent. [S185] Property Titles. ; PROV (Public Records Office Victoria), C/T 3639-719 - James Hopkins of Essex Road Surrey Hills Builder - C/T 3673-458. [S185] Property Titles. ; PROV (Public Records Office Victoria), C/T 3535-954 - George Hodges Knox of 31 Queen Street Melbourne Gentleman. [S185] Property Titles. ; PROV (Public Records Office Victoria), C/T 2031-151 - Transfer 731729 - Albert Gleed of 73 Swanston Street Melbourne Cellarman - C/T 3789-774. [S185] Property Titles. ; PROV (Public Records Office Victoria), C/T 2031-151 - Transfer 731728 - Charles Mulso Compigne Chase of "Donore" Drake Street Garden Vale Gentleman - C/T 3789-773. [S185] Property Titles. ; PROV (Public Records Office Victoria), C/T 3355-996 - Mortgage 327692 - discharged 28 May 1919. [S185] Property Titles. ; PROV (Public Records Office Victoria), C/T 3613-418 - Mortgage 327692 - discharged 28 May 1919. [S185] Property Titles. ; PROV (Public Records Office Victoria), C/T 1162-218 - George Wilson Martin of Cromwell Buildings Bourke Street Melbourne Agent - C/T 3757-353. [S185] Property Titles. ; PROV (Public Records Office Victoria), C/T 2644-623 - George Henry Rogers to George Wilson Martin of Cromwell Buildings Bourke Street Melbourne Agent. [S185] Property Titles. ; PROV (Public Records Office Victoria), C/T 2644-623 + C/T 3757-353 - Mortgage No 330790 - David Alexander Glenn - discharged 10 Jul 1919. [S185] Property Titles. ; PROV (Public Records Office Victoria), C/T 2031-151 - Transfer 752663 - Jane Elizabeth Cheeseman of Hawthorn Road Brighton Married Woman - C/T 3814-736. [S185] Property Titles. ; PROV (Public Records Office Victoria), C/T 2210-932+933 - Mortgage No 337446 - Alexander Fraser, James Robert Thear and Jonathan Edward Pittock - discharged 10 Jul 1919. [S185] Property Titles. ; PROV (Public Records Office Victoria), C/T 3639-719 - Mortgage No 337446 - Alexander Fraser, James Robert Thear and Jonathan Edward Pittock - discharged 10 Jul 1919. [S185] Property Titles. ; PROV (Public Records Office Victoria), C/T 2031-151 - Transfer 764377 - Lucy Maud Tanner of 44 Grosvenor Street Balaclava Widow - C/T 3849-795. [S185] Property Titles. ; PROV (Public Records Office Victoria), C/T 3840-836 - Mortgage No 343505 - discharged 23 Dec 1918. Mortgagee Emily Matthews. [S66] Berwick Shire Rates, 1870-1965 Rate Books 1916/17. [S185] Property Titles. ; PROV (Public Records Office Victoria), C/T 1123-401 - Alfred George Shorthouse to George Wilson Martin of Beaconsfield Upper orchardist - date could be 8th, 18th or 28th April. [S185] Property Titles. ; PROV (Public Records Office Victoria), C/T 1123-401. [S185] Property Titles. ; PROV (Public Records Office Victoria), C/T 3840-836 - Mortgage No 368722 - discharged 23 Dec 1918. Mortgagee Emily Matthews. [S185] Property Titles. ; PROV (Public Records Office Victoria), C/T 3287-381 - Emma Shorthouse - surrender of easement as to part to George Wilson Martin. [S185] Property Titles. ; PROV (Public Records Office Victoria), C/T 2031-151 - Transfer 840690 - William Longman Corry the younger of Homeside Sandy Lane Wallington Surrey England Gentleman - C/T 4106-187. [S185] Property Titles. ; PROV (Public Records Office Victoria), C/T 4109-678 / 679 - George Wilson Martin of Upper Beaconsfield Estate Agent - new title issued Aug 1939 - C/T 6304-763. [S185] Property Titles. ; PROV (Public Records Office Victoria), C/T 4109-679 - George Wilson Martin to Emily Matthews. VPRS 7591/ P2 unit 657, item 183/361. [S185] Property Titles. ; PROV (Public Records Office Victoria), C/T 4109-679 - George Wilson Martin to Lena Augusta Ziele. [S185] Property Titles. ; PROV (Public Records Office Victoria), C/T 2031-151 - Transfer 866073 - Samuel Barnett of Derby Road Caulfield Builder - C/T 4161-046. [S12] Newspaper - South Bourke and Mornington Journal 12 Dec 1918, p2. [S185] Property Titles. ; PROV (Public Records Office Victoria), C/T 4109-679 - George Wilson Martin to Sarah Phillips and Caroline Eliza Phillips. [S185] Property Titles. ; PROV (Public Records Office Victoria), C/T 4109-679 - George Wilson Martin to Liela Estelle Paynter. [S185] Property Titles. ; PROV (Public Records Office Victoria), C/T 3840-836 - Helen Frances Sarah Jaffray and Mabel Harriet Jaffray. Mortgage No 387258 - not discharged - mortgage as to part. [S185] Property Titles. ; PROV (Public Records Office Victoria), C/T 3840-836 - David Millar. Mortgage No 387257 - not discharged - mortgage as to part. [S185] Property Titles. ; PROV (Public Records Office Victoria), C/T 3840-836 - Mortgage No 387256 - not discharged. Mortgagee Emily Matthews. [S185] Property Titles. ; PROV (Public Records Office Victoria), C/T 4109-679 - George Wilson Martin to James Ratu Thompson. [S185] Property Titles. ; PROV (Public Records Office Victoria), C/T 3840-836 - Mortgage No 387261 - not discharged. [S185] Property Titles. ; PROV (Public Records Office Victoria), C/T 3921-062 - Florence Amy Shorthouse - surrender of easement as to part to George Wilson Martin. [S185] Property Titles. ; PROV (Public Records Office Victoria), C/T 3757-353 - Jessie Eleanor King of Upper Beaconsfield Married Woman - C/T 4432-287. [S185] Property Titles. ; PROV (Public Records Office Victoria), C/T 2644-623 - George Wilson Martin to Jessie Eleanor King - C/T 4432-287. [S185] Property Titles. ; PROV (Public Records Office Victoria), C/T 2210-933 + C/T 3656-060 - George Wilson Martin to Jessie Eleanor King - C/T 4432-287. [S185] Property Titles. ; PROV (Public Records Office Victoria), C/T 3639-719 - Jessie Eleanor King - C/T 4432-287. [S185] Property Titles. ; PROV (Public Records Office Victoria), C/T 3639-719 - Lucie Dupont of Toorak Road South Yarra Married Woman - C/T 4236-152. [S185] Property Titles. ; PROV (Public Records Office Victoria), C/T 2210-932 - George Wilson Martin to Lucie Dupont of Toorak Road South Yarra Married Woman - C/T 4236-152 (consolidated with 5-18 - containing 3a 2r). [S185] Property Titles. ; PROV (Public Records Office Victoria), C/T 2644-623 + C/T 3757-353 + C/T 3639-719 - Mortgage No 393560 - Alexander Fraser, Walter Lawson Appleby, Ernest Charles Melhuish and Joseph Alexander Thear - discharged 10 Jun 1921. [S185] Property Titles. ; PROV (Public Records Office Victoria), C/T 1133-433 - Margaret Hodge to George Wilson Martin of 414 Collins Street Melbourne Estate Agent. [S185] Property Titles. ; PROV (Public Records Office Victoria), C/T 1133-433 - Mortgage No 396193 - discharged 8 Sep 1922. [S185] Property Titles. ; PROV (Public Records Office Victoria), C/T 2031-151 - Transfer 943220 - Harriette Speechley Burns of 19 Fawkner Street St Kilda Widow - C/T 4333-437. [S185] Property Titles. ; PROV (Public Records Office Victoria), C/T 2031-151 - Transfer 945615 - William Albert Ernest Reed of 282 Post Office Place Melbourne Manufacturing Jeweller - C/T 4416-005. [S185] Property Titles. ; PROV (Public Records Office Victoria), C/T 2031-151 - Transfer 946673 - James Nicholas Buzolich of 25 Finch Street East Malvern Assistant Manager - C/T 4348-588. [S185] Property Titles. ; PROV (Public Records Office Victoria), C/T 2031-151 - Transfer 946674 - James Hall of 17 Queen Street Melbourne Solicitor - C/T 4348-589. [S185] Property Titles. ; PROV (Public Records Office Victoria), C/T 3512-298 - Mortgages No 418509 + 418510 from Henry Charles Alger and Margaret Clayton - discharged 9 Nov 1920. [S185] Property Titles. ; PROV (Public Records Office Victoria), C/T 1123-401 - Mortgages discharged as to part that was sold to Country Roads Board 21 Apr 1922. [S185] Property Titles. ; PROV (Public Records Office Victoria), C/T 3512-298 - George Wilson Martin of 414 Collins Street Melbourne Estate Agent. [S185] Property Titles. ; PROV (Public Records Office Victoria), C/T 3512-298 - Edith Laura Gibb of "Quamby Cottage" Quamby Avenue Beaconsfield Married Woman - C/T 4423-534. [S185] Property Titles. ; PROV (Public Records Office Victoria), C/T 3639-719 - Lucie Dupont of Toorak Road South Yarra Married Woman - C/T 4496-139. [S185] Property Titles. ; PROV (Public Records Office Victoria), C/T 3355-996 + C/T 3613-418 - Memo No 56154 Copy Writ of Fieri Facias issued out of the Supreme Court at Melbourne in an action numbered 776 in the year 1921 A. P. Merrill, W. A. Morrison and L. S. Marks against George Wilson Martin served on 14 Sep 1921. [S185] Property Titles. ; PROV (Public Records Office Victoria), C/T 3757-353 - Jean Stewart Pinkerton of 13 Benole Avenue East Prahran Spinster - C/T 4506-020. [S185] Property Titles. ; PROV (Public Records Office Victoria), C/T 3037-391 + C/T 3039-747 - George Wilson Martin of Upper Beaconsfield - C/T 4525-958. [S185] Property Titles. ; PROV (Public Records Office Victoria), C/T 4525-958 - Alexander Gardner Pinkerton of 13 Benole Avenue East Prahran Grocer - C/T 4525-959. [S185] Property Titles. ; PROV (Public Records Office Victoria), C/T 3757-353 - Foreclosed - C/T 5101-040. [S185] Property Titles. ; PROV (Public Records Office Victoria), C/T 2644-623 - Mortgage No 440871 - Carl Johan Njalmar Nissen - C/T 5101-042. [S185] Property Titles. ; PROV (Public Records Office Victoria), C/T 3639-719 - No 440871 - foreclosed as to balance - Carl Johan Hjalmax Nissen - C/T 5101-040. [S185] Property Titles. ; PROV (Public Records Office Victoria), C/T 4525-958 - Mortgage No 440871 - Carl Johan Njalmar Nissen - C/T 5101-041. [S185] Property Titles. ; PROV (Public Records Office Victoria), C/T 2644-623 - George Wilson Martin to Country Roads Board - C/T 4574-614. [S185] Property Titles. ; PROV (Public Records Office Victoria), C/T 1123-401 - Country Roads Board - C/T 4574-614. [S185] Property Titles. ; PROV (Public Records Office Victoria), C/T 1133-433 - GW Martin took out a mortgage from Carl Johan Hjalmar Nissen - foreclosed 8 Dec 1925 - C/T 5063-580. [S185] Property Titles. ; PROV (Public Records Office Victoria), C/T 1133-433. [S185] Property Titles. ; PROV (Public Records Office Victoria), C/T 3355-996 + C/T 3613-418 - Mortgage No 471340 - discharged 10 Oct 1947. [S185] Property Titles. ; PROV (Public Records Office Victoria), C/T 3639-719 - Beatrice McCahon of Dandenong Married Woman - C/T 4872-208. [S185] Property Titles. ; PROV (Public Records Office Victoria), C/T 3639-719 - Beatrice McCahon of Dandenong Married Woman - C/T 4872-209. [S185] Property Titles. ; PROV (Public Records Office Victoria), C/T 1123-401 - Balance by mortgagee to Frederick William Werrett of "Colac" McDonald Street Mordialloc and Robert Allen of Lowland Farm Chandler Road Dandenong Farmers - C/T 4905-804. [S185] Property Titles. ; PROV (Public Records Office Victoria), C/T 2644-623 - George Wilson Martin to Carl Johan Njalmar Nissen of Leaburn Avenue East St Kilda Gentleman (foreclosure) - C/T 5101-042. [S185] Property Titles. ; PROV (Public Records Office Victoria), C/T 3639-719 - No 440871 - foreclosed as to balance - Carl Johan Hjalmax Nissen of Leaburn Avenue East St Kilda Gentleman - C/T 5101-040. [S185] Property Titles. ; PROV (Public Records Office Victoria), C/T 5101-041 - Carl Johan Njalmar Nissen of Leaburn Avenue East St Kilda Gentleman. [S185] Property Titles. ; PROV (Public Records Office Victoria), C/T 1133-433 - Carl Johan Hjalmar Nissen of Leaburn Avenue East St Kilda Gentleman - foreclosed 8 Dec 1925 - C/T 5063-580. [S185] Property Titles. ; PROV (Public Records Office Victoria), C/T 3840-836 - transfer by mortgagee to Herman Roberts of Wood Street Beaconsfield Storekeeper - C/T 5385-895. [S185] Property Titles. ; PROV (Public Records Office Victoria), C/T 4109-679 - C/T 6304-763 - George Wilson Martin of 481 Bourke Street Melbourne Gentleman. GEM-D-3 (part of) and GEM-D-4. Mortgages transferred to new title. In 1945 property transferred by mortgagee. [S5] Registry of Births Deaths and Marriages Death Index Victoria 1921-1985 "#D1552 (Age 72) [par Henry Wilson MARTIN & Emma MOULE]." [S11] Newspaper - Argus 19 Feb 1943, p2. [S185] Property Titles. ; PROV (Public Records Office Victoria), C/T 6304-763 - Mortgagee to David Macdonald Insurance Officer and Percy Miles Gentleman both of Upper Beaconsfield - proprietors as tenants in common - C/T 6791-166. [S185] Property Titles. ; PROV (Public Records Office Victoria), C/T 3355-996 + C/T 3613-418 - Edith Emily Watkins of 74 Dandenong Road Caulfield Married Woman. [S185] Property Titles. ; PROV (Public Records Office Victoria), C/T 2031-151 -. [S15] Newspaper - Village Bell "Issue 97 - Apr 1994, p11 by John Milligan." [S83] Online index to the UK census "RG10 1340." Dwelling 1 Banner Villas Finsbury Road Tottenham, Middlesex, England." [S83] Online index to the UK census "1891 census: Class: RG12; Piece: 1060; Folio: 38; Page: 68; GSU Roll: 6096170." [S108] Electoral Roll for Australia, 1908. [S65] Ancestry - various indices, AIGS Cemetery Index. [S12] Newspaper - South Bourke and Mornington Journal 2 Aug 1899, p2. [S12] Newspaper - South Bourke and Mornington Journal 27 Jul 1910, p2. [S12] Newspaper - South Bourke and Mornington Journal 20 Jul 1911, p2. [S12] Newspaper - South Bourke and Mornington Journal 31 Aug 1911, p2. [S11] Newspaper - Argus 14 Nov 1911, p5. [S12] Newspaper - South Bourke and Mornington Journal 30 May 1912, p12. [S14] Newspaper - Berwick Shire News and Pakenham and Cranbourne Gazette, 21 Jan 1914, p3. [S12] Newspaper - South Bourke and Mornington Journal 1 Apr 1915, p2. [S196] Newspaper - Dandenong Advertiser and Cranbourne, Berwick and Oakleigh Advocate (Vic. : 1914 - 1918) "Dandenong Advertiser and Cranbourne, Berwick and Oakleigh Advocate (Vic. : 1914 - 1918), Thu 22 Apr 1915, p2." [S19] Newspaper - Berwick Shire News and Pakenham and Cranbourne Gazette "6 Dec 1916, p2." [S12] Newspaper - South Bourke and Mornington Journal 7 Dec 1916, p2. [S18] Newspaper - Pakenham Gazette "Pakenham Gazette and Berwick Shire News (Pakenham East, Vic. : 1917 - 1918), Fri 18 May 1917, p2." [S18] Newspaper - Pakenham Gazette "1 Jun 1917, p3." [S18] Newspaper - Pakenham Gazette "17 Aug 1917, p2." [S196] Newspaper - Dandenong Advertiser and Cranbourne, Berwick and Oakleigh Advocate (Vic. : 1914 - 1918) "23 Aug 1917, p3." [S11] Newspaper - Argus 10 Nov 1917, p23. [S14] Newspaper - Weekly Times, 17 Nov 1917, p48. [S12] Newspaper - South Bourke and Mornington Journal 26 Sep 1918, p2. [S16] Newspaper - The Age 25 Oct 1918, p8. [S11] Newspaper - Argus 25 Oct 1918 p3. [S11] Newspaper - Argus 14 Dec 1918, p3. [S11] Newspaper - Argus 12 April 1922, p2. [S11] Newspaper - Argus 29 Dec 1937, p12. Death-Notice* 20 Jul 1921 MARTIN.-On the 17th July, at Sydney, Mary, the beloved wife of George Wilson Martin, and mother of Jean (Upper Beaconsfield), and eldest daughter of the late Alexander and Mary Walker, of Royal Park. MARTIN -The Friends of Mr GEORGE WILSON MARTIN are informed that the remains of his late dearly beloved wife, Mary, will be interred in the Brighton Cemetery, THIS DAY (Wednesday). [S11] Newspaper - Argus 20 Jul 1921 p1. [S337] Index of monumental inscriptions/burials, https://billiongraves.com "Brighton Cemetery." VPRS 7591/ P8 unit 48, item 909/749. [S2] Registry of Births Deaths and Marriages Federation Index Victoria 1889-1901 "#B26449." [S22] Victorian Government. BDM Index Victoria (online) "Place of birth Port Melbourne." [S143] Electoral Roll for Australia, 1943. Village Bell* Oct 1986 The article reads: WELCOME HOME! KIDD FAMILY. Graeme, Sheila, Sarah, Rebecca and Simon have arrived home after a lengthy sojourn In U.K. Note* c 1996 Graeme Kidd has set up The Woodcut Workshop to design and make innovative furniture and other timber pieces having functionality and simplicity of form - but also an element of surprise. He is delighted to discuss client's requirements on site to ensure that the design is truly sympathetic to the environment. Marriage* c Sep 2000 Spouse: Julie May. Cardinia Shire Council has awarded the Individual category Environmental Management Award for 2000 to Graeme Kidd in recognition of his longstanding commitment to environmental issues within the Shire. Graeme has a wide-ranging involvement in environmental matters dating back to the formation of the Quarry Impact Association of which he was an inaugural member and president for many years. He has been an active member of both the Pakenham and Cardinia Shire's Environment Strategy Advisory Committee and has taken a keen interest in the area of extractive industry. Graeme was the prime mover and driving force behind the Upper Beaconsfield Strategy Plan aimed at protecting and enhancing the environmental qualities and the community lifestyle of our area, something he feels very strongly about. During his time as a Councillor he was a strong advocate for the control of noxious and environmental weeds together with pursuing a clean air policy within the Shire. He and his partner Julie Jamieson have shown their commitment to the environment by placing a Conservation Covenant on their property with the Trust for Nature. Well known and respected former resident of Upper Beaconsfield, Graeme Kidd died peacefully at home in Tonimbuk early Wednesday morning 9 February. Graeme and his twin brother John were born in Perth and at eight years of age the family moved to Brisbane where he completed his Engineering Degree before coming to Melbourne in the mid 1960s to study Science at Melbourne University. He started his employment as an Engineer for the Post Master General in the late 1960s. Graeme and his first wife Sheila moved to Upper Beaconsfield in 1973 and had three children, Simon, Sarah and Becky. Sadly Sheila died in 1990. He was a very community minded person who made a significant contribution to Upper Beaconsfield over a long period. His involvement included past President of the Upper Beaconsfield Association, member of the first Editorial Committee of the Village Bell, Member of the Upper Beaconsfield Care Group, President of the Quarry Impact Committee, Member of the Bushfire Recovery Committee post Ash Wednesday fires in 1983. Graeme was elected to the Cardinia Shire Council and in his second year served as Mayor. He played a leading role in the implementation of the first Strategy Plan for Upper Beaconsfield and always had an eye on the long term implications of planning. Graeme’s professional life with Telstra as a Section Head of Optic Fibre development at Clayton and his managerial skills held him in good stead when dealing with his many Community and Council Commitments. Graeme was a creative person – a skilled woodworker and member of the Victorian Woodworker Association and many people in the district are the proud owners of his workmanship. He was a very keen photographer, sketcher and painter. After marrying second wife Julie, they moved to Tonimbuk in the late 1990s where they designed and built their dream home and established a small olive grove producing high quality olive oil. Graeme and Julie both being passionate environmentalists protected a large area of their bushland with a Trust for Nature Conservation Covenant. Bushwalking was also a great passion of Graeme’s and he and Julie travelled in both Australia and overseas as members of the Dandenong Valley Bushwalking Club. Graeme is survived by wife Julie, son Simon and his wife Bec and grandson Archie, daughters Sarah and Becky and will be sadly missed by all who had the privilege of knowing him. [S13] Newspaper - Herald Sun "online." [S185] Property Titles. ; PROV (Public Records Office Victoria), C/T 7072-332 - Graeme Peter Kidd Engineer and Sheila Kidd Married Woman both of Flat 22 No 47 Hanover Street Fitzroy - joint proprietors - C/T 8907-098. [S15] Newspaper - Village Bell "052-1986, p16." SPRINGVALE BOTANICAL CEMETERY; SHEILA KIDD; Religion NONE; Date of Service 4/12/1990; Date of Death 1/12/1990; Age 52; Burial Type CREMATED (Remains collected). [S185] Property Titles. ; PROV (Public Records Office Victoria), C/T 8907-098 - Graeme Peter Kidd of 3 Lenne Road Upper Beaconsfield is now the surviving proprietor. [S50] Miscellaneous Source, http://avoca.vicnet.net.au/~woodlink/direct.htm#kidd - viewed 14 Feb 2011. [S50] Miscellaneous Source, http://www.trinity.unimelb.edu.au/publications/… - viewed 14 Feb 2011. [S15] Newspaper - Village Bell "Issue 136 - Oct 2000, p3 by Neil McDonald." [S50] Miscellaneous Source, http://avoca.vicnet.net.au/~woodlink/makead.htm - viewed 14 Feb 2011. [S13] Newspaper - Herald Sun "http://www.onlinetributes.com.au/Graeme_Kidd/ viewed 14 Feb 2011." [S13] Newspaper - Herald Sun "http://www.onlinetributes.com.au/Graeme_Kidd/ viewed 13 Feb 2011." [S15] Newspaper - Village Bell "Mar 2011. Issue 183. Page 3. By Neil McDonald." [S2] Registry of Births Deaths and Marriages Federation Index Victoria 1889-1901 "#D4777 (Age 30) [par BARNES Ransher & Mary Unknown] as PATEMOSTER." [S11] Newspaper - Argus 21 Apr 1899, p1. 5-273-B Paternoster Jack M 10 29/12/1899 339. (Witness) Note (an unknown value); Mirror Paints History Originally called S. Smith & Co. p/l, we started producing paints and varnishes at in Melbourne around 1890. Mr. Sam Smith, a skilled varnish maker from Birmingham, England arrived in Melbourne to start a new life. He rented a hay and corn store at Browns Hill from a Mrs. Radcliffe. The area is now known as Dynon Road, South Kensington where the present factory is located. Sam, a skilled varnish maker and gum runner, began producing a range of varnishes, driers and oil based paints. The manufacture of pigments such as Chrome Yellows, Prussian Blue, Chrome Green and Carbon Black continued until the late 1950’s. Varnish and resin making was by open pot method over open hearth furnaces up until about the same time. Sam Smith passed on in the 1930’s handing down the business to two members of his family, Sam Jnr. and Victoria. By the 1960’s a wide range of coatings were being produced. Industrial paints included epoxies, polyurethanes, chlorinated rubbers and many speciality coatings. The architectural range (house paint) included alkyd enamels, acrylics, vinyls and membrane paints. It was around that time Victoria’s son, Fred Funnell took over the Family business. Fred’s management saw the company succeed through the tremendous social and economic changes of the 1960’s, 70’s and 80’s. That time also saw a great diversification in the type of products we sold. The shop now carried a selection of swimming pool chemicals and hydroponics. [S9] Free BMD. Index. Online @ https://www.freebmd.org.uk/ "Sep Q [E. Grinstead] 2b 142." [S36] Inward & outward passenger lists to and from Victoria. Series: VPRS 14; 7666; 7667; 7786); PROV (Public Records Office Victoria), MAKARINI Dec 1912 862/012. [S80] Ancestry - Family Tree, Bredin Family Tree - Owner: margaretthomas31. [S185] Property Titles. ; PROV (Public Records Office Victoria), C/T 5101-042 - Carl Johan Njalmar Nissen to Victoria Louisa Cameron Funnell of 381 Hampton Street Brighton Married Woman. [S185] Property Titles. ; PROV (Public Records Office Victoria), C/T 4383-437 - Henry Edward Frederick Funnell Chemist and Victoria Louisa Cameron Funnell his wife both of 381 Hampton Street Brighton - joint proprietors. [S185] Property Titles. ; PROV (Public Records Office Victoria), C/T 5101-042 - Victoria Louisa Cameron Funnell to Louisa Smith of Upper Beaconsfield Widow - C/T 6074-633. [S185] Property Titles. ; PROV (Public Records Office Victoria), C/T 6074-633 - Victoria Louisa Cameron Funnell of 19 Walstab Street Brighton East Married Woman. [S185] Property Titles. ; PROV (Public Records Office Victoria), C/T 5101-042 - Victoria Louisa Cameron Funnell to Victoria Louisa Cameron Funnell Married Woman and Henry Edward Frederick Funnell Chemist, both of White Lodge Upper Beaconsfield - C/T 8160-573. [S5] Registry of Births Deaths and Marriages Death Index Victoria 1921-1985 "#D15956 age 73." [S185] Property Titles. ; PROV (Public Records Office Victoria), C/T 8160-573 - Victoria Louisa Cameron Funnell is surviving proprietor. [S185] Property Titles. ; PROV (Public Records Office Victoria), C/T 8160-573 - Victoria Louisa Cameron Funnell to Elizabeth Douglas Ballantyne of "Baroona" Upper Beaconsfield Married Woman - subdivided 10 May 1967 into Lots 1.2.3 C/T 8667-610-612 l/p 75335. [S185] Property Titles. ; PROV (Public Records Office Victoria), C/T 6074-633 - Kathleen Poole of 175 Fortescue Avenue Seaford Married Woman. see photographs of paint making there. [S65] Ancestry - various indices, 1911 census: Class: RG14; Piece: 1960. Death-Notice* 7 May 1948 SMITH -On May 6 at the residence of her daughter, No. 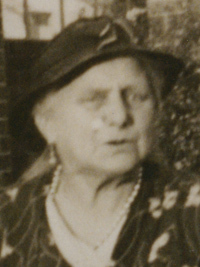 19 Walstab street East Brighton, Louisa, loved wife of the late Samuel and dearly loved mother of Queenie (Mrs H. E. Funnell) and Marie (Mrs Baker). [S9] Free BMD. Index. Online @ https://www.freebmd.org.uk/ "Mar Q [Camberwell] 1d 722." [S9] Free BMD. Index. Online @ https://www.freebmd.org.uk/ "Mar Q [Woolwich] 1d 1465." [S4] Registry of Births Deaths and Marriages Great War Index Victoria 1914-1920 "#M238." [S5] Registry of Births Deaths and Marriages Death Index Victoria 1921-1985 "#D5564 (Age 77) [par Samuel SMITH & Elizabeth HAINES] reg. Footscray." [S5] Registry of Births Deaths and Marriages Death Index Victoria 1921-1985 "#D5202 (Age 80) [par Samuel HORNER & Emma ALLEN]." [S11] Newspaper - Argus 7 May 1948 p2. [S185] Property Titles. 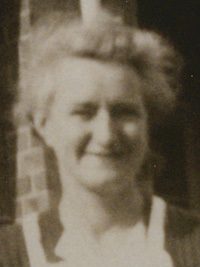 ; PROV (Public Records Office Victoria), C/T 6074-633 - Louisa Smith died on 6th May 1948. Probate of her will has been granted to Victoria Louisa Cameron Funnell of 19 Walstab Street Brighton East Married Woman. [S68] British Census Index, England "RG11 0694/63 p55." Death-Notice* 12 Apr 1932 SMITH.-On the 10th April at his residence, No. 2, Dynon road South Kensington, Samuel, dearly beloved husband of Louisa Smith, and loving father of Lillian (Mrs Gill), Rose (Mrs Robinson), Samuel, Louise (deceased), Sidney and Marie, aged 77 years - At rest. SMITH.-On the 10th April at his residence No. 2, Dynon road, South Kensington, Samuel Smith, dearly loved stepfather of Queenie (Mrs Funnell, and loving grandfather of Samuel, Margery, John and Fred, aged 77 years. -Peace, perfect peace. SMITH.-The friends of the late SAMUEL SMITH are respectfully invited to follow his remains to the place of interment. The funeral is appointed to move from his late residence No 2 Dynon road, South Kensington, THIS DAY (Tuesday), at 2 o'clock, and proceed to St Mary's Church, Queensberry street, North Melbourne en route to the Brighton Cemetery. Note* Mirror Paints History Originally called S. Smith & Co. p/l, we started producing paints and varnishes at in Melbourne around 1890. Mr. Sam Smith, a skilled varnish maker from Birmingham, England arrived in Melbourne to start a new life. He rented a hay and corn store at Browns Hill from a Mrs. Radcliffe. The area is now known as Dynon Road, South Kensington where the present factory is located. Sam, a skilled varnish maker and gum runner, began producing a range of varnishes, driers and oil based paints. The manufacture of pigments such as Chrome Yellows, Prussian Blue, Chrome Green and Carbon Black continued until the late 1950’s. Varnish and resin making was by open pot method over open hearth furnaces up until about the same time. Sam Smith passed on in the 1930’s handing down the business to two members of his family, Sam Jnr. and Victoria. By the 1960’s a wide range of coatings were being produced. Industrial paints included epoxies, polyurethanes, chlorinated rubbers and many speciality coatings. The architectural range (house paint) included alkyd enamels, acrylics, vinyls and membrane paints. [S80] Ancestry - Family Tree, Baker Family Tree - Owner: johnbaker8. [S36] Inward & outward passenger lists to and from Victoria. Series: VPRS 14; 7666; 7667; 7786); PROV (Public Records Office Victoria), B535/002. [S11] Newspaper - Argus 12 Apr 1932 p1. [S11] Newspaper - Argus 17 Jun 1932, p6. Plot 5-274-A, Berwick Cemetery, Berwick, VIC, Australia, WILSON In loving memory of Fay Hobart 16.12.1920 - 25.2.2000, wife of George Pritchard Harvey C.M.G. mother of David, Jamie, Anne. The Wilson family came to Australia from Fintona in Ireland and first settled in the Melbourne suburb of Brighton. Georges grandfather James Wilson and his brother William, bought land at Berwick at the first land sale held at Dunbars Hotel in Dandenong on 20 January 1854. George was still living at "Wilson House" on part of the original property when he died. George Wilson was born at Berwick, Victoria on 18 March 1918, the third generation of the pioneering Wilson family to reside on the same 550 acres property originally settled by his grandfather in 1854. Educated at Melbourne and Geelong Grammar Schools, he followed the family tradition of farming. At his Berwick property he ran two dairy herds, a Poll Hereford commercial beef herd and a Stud Dorset Horn Sheep flock. Throughout his life, George Wilson has been an early adopter of farming techniques, particularly in the area of fodder conservation, with two of his share-farmers having won awards in this area and in farm management. It was little wonder then that he was the first Victorian to win a Nuffield Farming Scholarship in 1952. He travelled by ship to the U.K. with Pat Meredith from Tasmania who became a life long friend. His scholarship was to study beef and general farming in the UK and Europe. Up until his death his farming interests have been Beef Cattle, Pasture Management and Dairy Farming. Nuffield Farming Scholarships in Australia and some other British Commonwealth countries were funded by the Nuffield Foundation in London from 1950 to 1976. Prior to this date George Wilson worked tirelessly to raise money in Australia to keep the Nuffield Farming Scholarships Scheme going. The Australian Nuffield Farming Scholars Association was established with George Wilson as its first Chairman, a position he held from 1973 to 1989. George Wilson with the help of a small committee organised the first World Nuffield Conference in Australia centred in Melbourne, with the pre conference tours in Western Victoria. Largely due to Georges enthusiasm and drive the conference was a great success. Quoting from Brian Morleys obituary in the Age Newspaper on the 26 November 2003, "He was a remarkable man - an imposing figure who commanded respect and was warm in his regard for others. He was a man of achievements and rarely took on a cause that he could not deliver". In 1986 he was made a Life Member of the Australian Nuffield Farming Scholars Association and three years later the UK Nuffield Farming Trust made him an Honorary Trustee - the first person outside the UK to be recognised. Nuffield Australia and world wide owes a lot for its success to George Wilson. Just after the death of Sir Winston Churchill, George Wilson was amongst a number of Australians to help raise money for what is now known as the Winston Churchill Memorial Trust. This door knock raised 4.2 million dollars and George was extremely proud of the fact that a large portion of this came from rural people. For many years he served on the Primary Industries selection Panel in Victoria. George was a third generation Royal Agricultural Society of Victoria Councillor. His grandfather, James Wilson, joined the RAS of V in 1902 and served until 1910. He was succeeded by his son, George's father, who became a Trustee and Vice President. 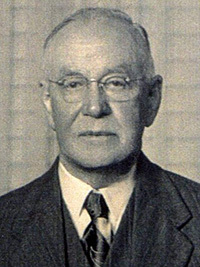 George Wilson was elected to the Council in July 1950. He became a Vice President in 1957 and President in 1964. At the age of forty six he was the youngest President on record. He was President for nine years - the second longest term held by a President. It is interesting to note that when he took over as President a lot of commercial farmers and some academics were becoming very critical of show standards - what's changed. Prior to his Presidency attendance had been about 680,000 and during the next nine years they rose to 916.000 an increase of 33%. During the same period he increased animal and commercial entries from 27000 to 31000. George was a life member of the RAS of V. appointed a Trustee in 1968 and a Life Councillor in 1970. He sat on many committees, including the Farm Management, which he chaired for thirty years. In 1955 he was responsible for the introduction of a modern Diary Pavilion at the Royal Show. George exhibited Shropshire and Dorset Horn sheep, Kelpie sheep dogs and chooks at the Royal Melbourne Show. George was awarded a C.M.G. in the Queens Birthday Honours List in June 1966 - for services to Agriculture. From 1942 - 45 George served as a Lieutenant in the 13th Armoured Regiment A.I.F. which was formed out of the 13th Lighthorses. The Wilson Family were wonderful philanthropists, contributing greatly to the development of the Berwick township and district. In 1962 George and Fay donated the original one acre Wilson House Homestead site and their wonderful Moreton Bay Fig Tree to the people of Berwick as well as additional land to the Berwick Bowling Club. Again in 1972 George and Fay gifted an area of 43 acres of their Berwick property to the then Shire of Berwick which has since been developed into parkland known as the Wilson Botanic Park. Just prior to his death George was notified that the Berwick Primary School No 40. site, that he and others in the community had worked hard to save and had contributed money to, was to be saved as an historical area. George was delighted. Some of Georges other activities included the Berwick & District Agricultural/Horticultural Society, serving two terms as President. President and Life Member of the Dandenong Agricultural and Historical Society. He served on the Victorian Inland Meat Authority for eight years and in 1970 was Chairman for four years. George was a member of the Monash University Council and the Victorian Economic Development Corporation. In June 1945 George married Fay, daughter of WV Robert Duff. They had two sons and a daughter. Fay pre deceased George and he is survived by his sons David and Jamie and daughter Anne Wimmers and their nine children. [S80] Ancestry - Family Tree, Wilson Family Tree 2006 - Owner: srwilson1965. [S11] Newspaper - Argus 19 Mar 1918, p1. [S11] Newspaper - Argus 2 Jun 1945, p12. [S185] Property Titles. ; PROV (Public Records Office Victoria), C/T 3864-735 - Keith Stuart Andrews of "Blairgowrie" Berwick Poultry Farmer and George Pritchard Harvey Wilson of "Wilson House" Berwick Grazier - joint proprietors - C/T 7151-071. [S185] Property Titles. ; PROV (Public Records Office Victoria), C/T 7151-071 - Arthur George Billing of 15 Berkeley Street Hawthorn Executive. [S66] Berwick Shire Rates, 1870-1965 1948-49: NAV £1, sold 18 Aug 1949 to Arthur Billing. 5-274-A Wilson George M 85 6/11/2003 3245. [S14] Newspaper - Nuffield Bulletin, Dec 2003, p2 written by W. Robert R Beggs A.M.
[S185] Property Titles. ; PROV (Public Records Office Victoria), C/T 5617-258 - George Preston of Emerald Road Upper Beaconsfield Grader Driver. [S22] Victorian Government. BDM Index Victoria (online) "#D3676 birthplace St Kilda." [S15] Newspaper - Village Bell "055-1987 p4 by Ray Ratcliff." [S185] Property Titles. ; PROV (Public Records Office Victoria), C/T 5617-258 - George Preston died on 11/2/87. Probate of his will has been granted to Gladys Mary Preston of Emerald Road Upper Beaconsfield. [S101] Electoral Roll for Australia, 1903 - 1980 "1942, also 1954." 7-354 Preston George M 4/10/2000 3008. [S18] Newspaper - Pakenham Gazette "21 Dec 1961, p10."